Made by Tahoe Tack. 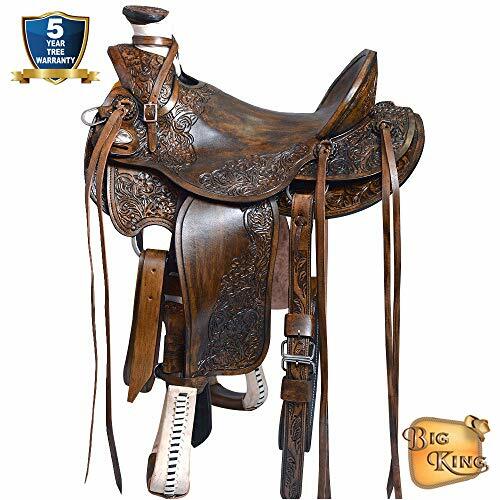 This saddle features beautiful hand tooled leather and rawhide wrapped horn and cantle. 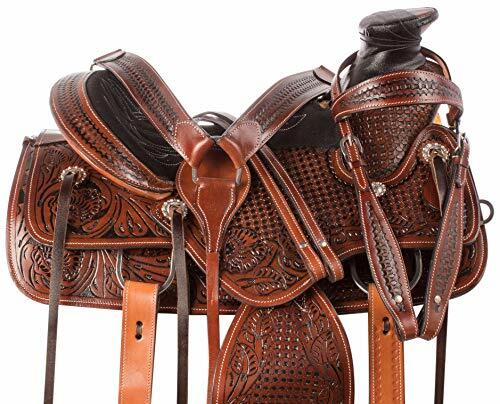 The contrasting colors give this saddle a nice look. A 2 year limited Tree warranty included. 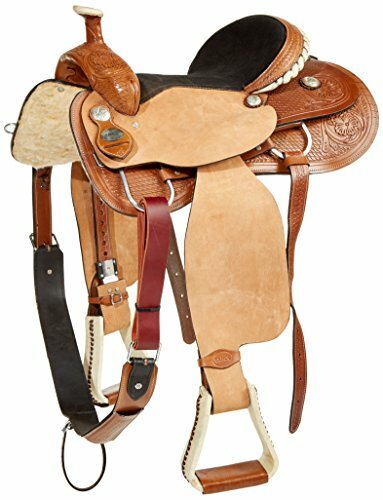 **** Girth Cinch, Back Cinch, and Horse Bit NOT INCLUDED **** This classic old west ranch style saddle still remains as the most popular saddle of choice by ranchers and cowboys throughout the world! This canyon roper features detailed basket weave tooling on a premium thick and supple cowhide leather. 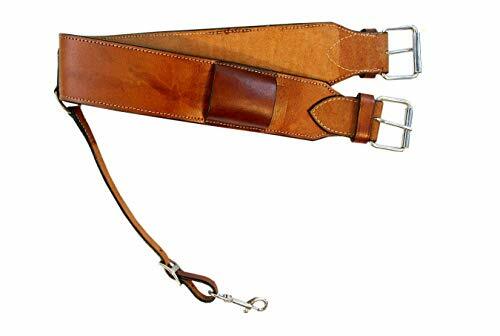 The old west design is enhanced with solid stainless steel hardware, and features extra-long ties for accessory attachment. The wade tree design features a wide pie horn with a reinforced mule hide wrapping. 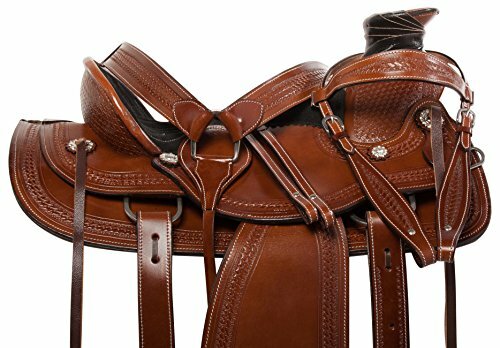 The smooth seat jockey and fenders reduce friction and chafing for cowboys who stay in the saddle all day long. 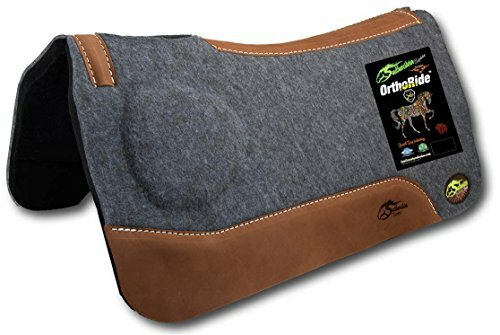 This saddle comes complete with a matching headstall, reins, and breast collar while supplies last! Cinches are NOT included. Saddle Specifications: Color: Walnut Oil 100% Thick Premium Grade Leather Deep Padded Suede Stitched Seat Mule Hide Wrapped Horn Aluminum Stirrups Adjustable Blevins Buckles Numerous Ties For Accessory Attachment Well Padded Fleece Underside Well Balanced Wood Wade & Fiberglass Tree Saddle Measurements: Seat: 15-18" Gullet: 7" Full QH Bars Skirt: 26 -28" Horn: 3" Tall x 5" Wide Swell: 8" Cantle: 4.5" Stirrups: 30 - 40" (with room for adjustments) Weight: Approx. 32 lbs. This is a Hilason Brand Pair Of Bucking Rolls.